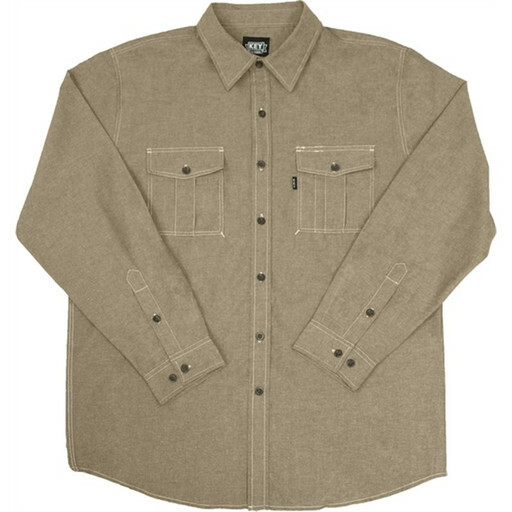 KEY 527 Performance Comfort Long Sleeve Chambray Shirt - Look and feel great in the KEY Performance Comfort Modern Fit Chambray Shirt! The Cotton/Polyester Blended fabric provides a comfortable active fit, while two chest pockets with button flaps allow for you to keep any necessities handy. The open collar, button front and assorted colors make this shirt stand out in the crowd. Look sharp in this KEY Performance Comfort Modern Fit Chambray Shirt!